The Auckland Swiss Club is one of a number of regional Swiss associations in New Zealand. The club owns a piece of land called Swiss Farm at Kaukapakapa, and the hut there is one of the main meeting places for members. It is also the venue for a regular event, the fondue evening. 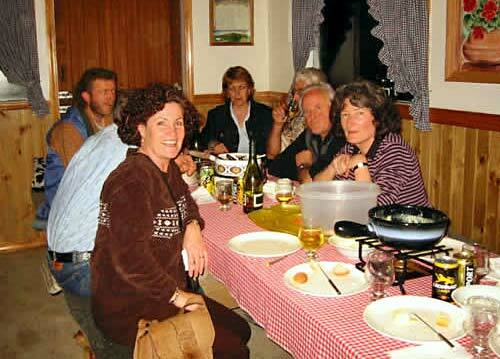 Members are pictured enjoying Swiss food and company in October 2001.